The bluebonnet is “a kind of floral trademark almost as well known to outsiders as Cowboy boots and the Stetson hat,” — Texas historian Jack Maguire. My next journal entry takes me into Texas, my home state where the majority of my family still lives. Today, that includes three of my five children, 11 of my 15 grandchildren, and five of my seven great-grandchildren. In 2002, however, the numbers were fewer and I only had to visit Dallas, Fort Hood, and Lake Jackson to see them all. This coming Thursday, I’m flying home to Dallas, where I was born, and then will rent a car for trips to San Antonio, Lake Jackson, and West Columbia to see all my Texas family, except one granddaughter who will be on a delayed honeymoon to Disneyland in Florida. I’m excited to be going at this time because this is prime bluebonnet season. 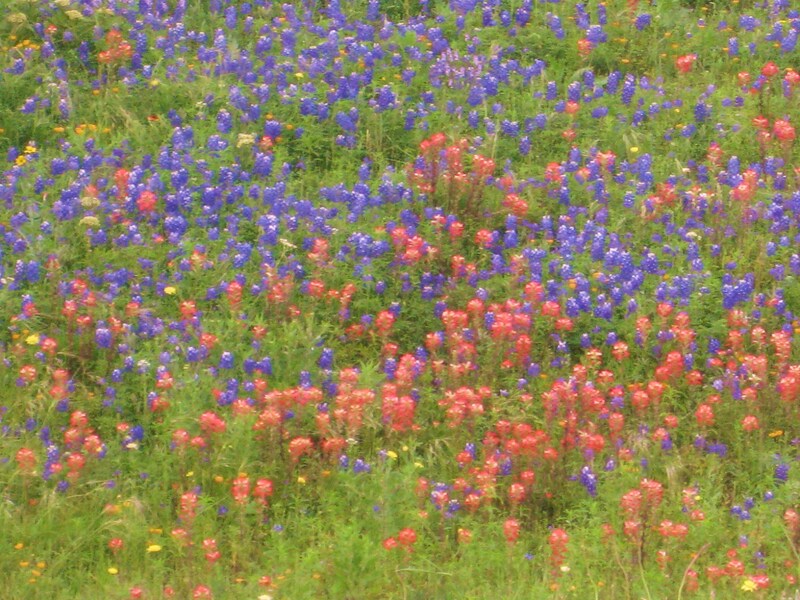 However, I noted in my 2002 road trip journal that one of the first things I saw when I crossed the border from New Mexico into Texas were bluebonnets, even though it was then late June. 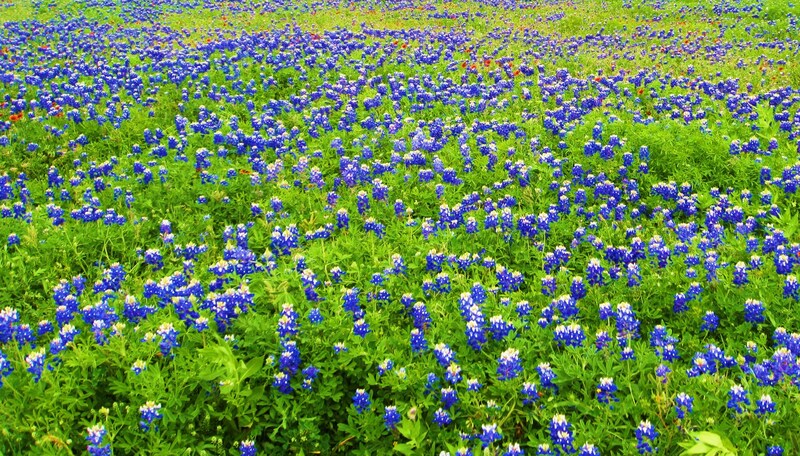 The bluebonnet, all five varieties of them, are Texas’ state flower. And thanks to former First Lady Ladybird Johnson, the roadsides are abundant with them. She encouraged Texans to toss flower seeds all across the state – and they did. But how all five bluebonnets became the state flower makes for a good Texas tall tale. In the spring of 1901, the Texas Legislature got down to the serious business of selecting a state flower, and the ensuing battle was hot and heavy. One legislator spoke emotionally in favor of the cotton boll, since cotton was king in Texas in those days. Another, a young man from Uvalde, extolled the virtues of the cactus so eloquently that he earned the nickname of “Cactus Jack,” which stuck with him for the rest of his life. He was John Nance Garner who later became vice president of the United States. But the National Society of Colonial Dames of America in Texas won the day. Their choice was Lupinus subcarnosus, generally known as buffalo clover or bluebonnet. And that’s when the polite bluebonnet war was started. 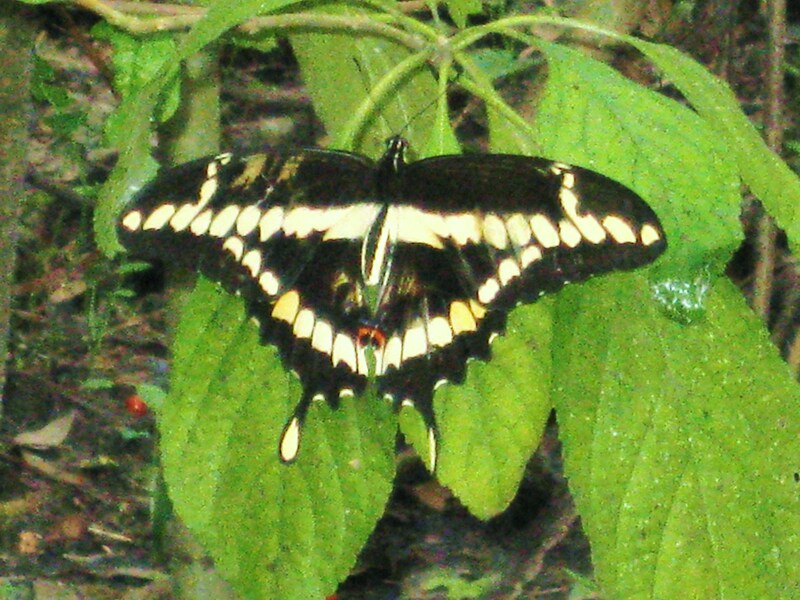 While you’re looking for bluebonnets, don’t miss the butterflies, like this swallowtail at Brazos Bend State Park. Lupinus subcarnosus is a dainty little plant which paints the sandy, rolling hills of coastal and southern Texas with sheets of royal-blue in the early spring. But some folks thought it was the least attractive of the Texas bluebonnets. They wanted Lupinus texensis, the showier, bolder bluebonnet. So, off and on for 70 years, the Legislature was encouraged to correct its oversight. But the solons weren’t about to get caught in another botanical trap, nor did they want to offend the supporters of Lupinus subcarnosus. They finally solved the problem with typical political maneuvering. In 1971, the Legislature added the two species together, plus any other variety of bluebonnet not heretofore recorded, and lumped them all into one state flower. What the many things the Legislature did not know then was that Texas is home to three other species of lupines and the umbrella clause makes all five of them the state flower. 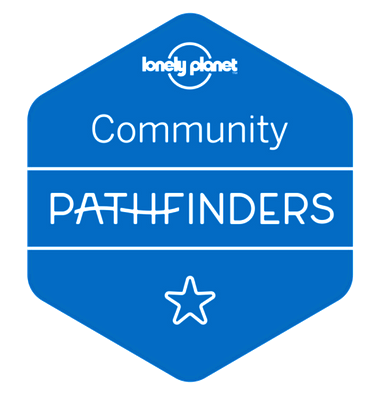 A bit of interesting history that I only learned when doing some research for this blog. It adds a bit of pondering to my upcoming bluebonnet viewing. Bean Pat: Sunrise at Bryce Canyon http://www.trailsunblazed.com/sunrise-at-bryce-canyon/ One of my favorite places. My Mom was a central Texas farm girl, and she just loved bluebonnets. So do I. This year, we don’t have that many wildflowers around here in te Hill Country. Our winter was too dry. Further south there’s a riot, tough.